In the first two months of this year, Russia’s Basel Aero-managed southern airports at Sochi, Krasnodar, Anapa, and Gelendzhik collectively handled 1.37 million passengers, an 18% year-on-year improvement. Some 1.27 million domestic passengers passed through the airports of Krasnodar Territory, while 106,000 were carried internationally, up 15% and 57% year-on-year, respectively. The number of aircraft movements stood at 6,049 in the region, up 11%; 1,600 tonnes of air freight and mail (up 10%) was handled by the Basel Aero airports. 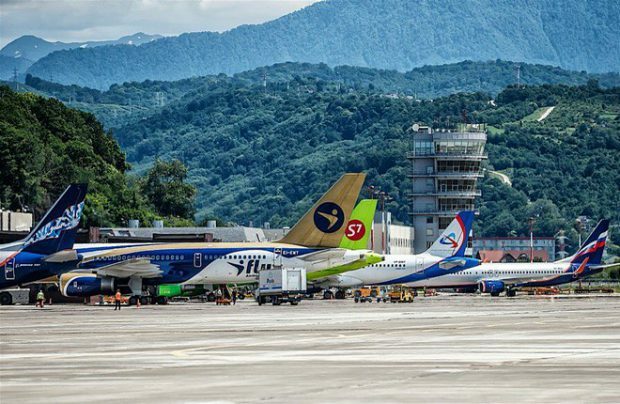 Sochi, the biggest of the four facilities, welcomed 759,495 passengers (up 13%) in January and February. More than 731,000 (up 12%) traveled domestically and about 28,000 (up 69%) internationally. The number of passengers served by Krasnodar airport rose to 538,949 (up some 27%); domestic passenger numbers exceeded 460,000 (up 23%), and international traffic soared to more than 78,000 travelers (up 54%). Of the smaller airports in the region, some 73,000 passengers passed through Anapa in the first two months (a 12% increase); Gelendzhik airport welcomed more than 4,203 passengers, up 38%. Basel Aero was established in 2007 as a three-way venture between Russian billionaire Oleg Deripaska’s Basic Element (which owns 50% plus one share), Sberbank (20% minus one share), and Changi Airport Group of Singapore (30%).